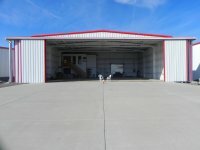 Hangar 43E at Windchaser hangars located at the Front Range Airport (FTG) is for sale. 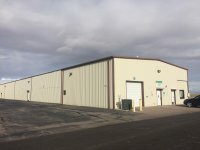 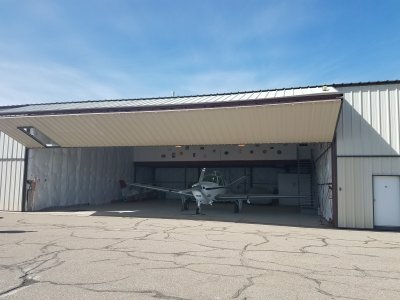 This box hangar is 48 ft x 48 ft with a ceiling height of 20 ft. One space includes a raised office area with kitchen and restroom/shower, floor drain, 200 amp electrical service, gas overhead radiant heat, and halogen lighting. 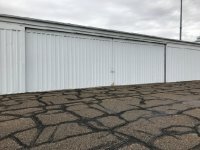 The other space has a restroom with floor drain, 200 amp electrical service, gas overhead radiant heat, and halogen lighting.